Drink This! is an event celebrating artisanal beverages that are made right here in the heart of Vancouver. Various sites throughout the down town area will be showcasing these beverages from 4p to 9p, this Saturday, September 15th from 4p to 9p. 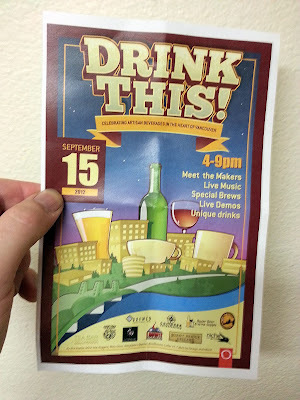 Think ARTWALK for drinks: some hot, some cold, others with alcohol, and non-alcohol beverages, too. 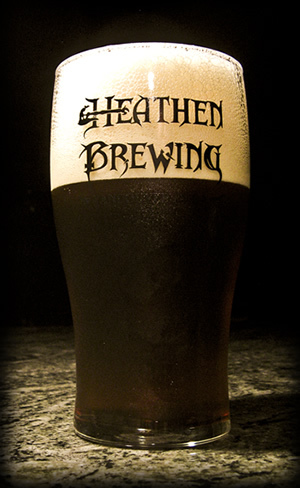 By the Bottle is excited to host Heathen Brewery, one of Vancouver's newest breweries. Sunny Parsons, founder and co-brewer of Heathen, was a homebrewer with a dream for seven years. 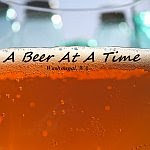 In November of 2011, Sunny actualized his dream by acquiring his professional brewer's license, and, so far, doesn't appear to be looking back. Heathen recently made an appearance at the Vancouver Brewfest, but the beers Heathen will be showcasing at By the Bottle are new. So,if you already checked out Heathen's brews at the festival, this is another chance to further study their beer library. Sunny will be pouring an Imperial IPA called Son of Malice, (Malice was at the brewfest) and a Pale Wheat Ale called Chillaxe. This is a hoppier pale that starts out with wheat notes, but the hops give the wheat the kabosh in the end. There is a chance that Sunny's co-brewer, Rodney Striker, will be joining us as well. That little heathen hasn't committed. On a similar note, Sunny named his brewery Heathen Brewing in honor of his Grandfather who used to call all of the grandkids heathens when they would be running around all crazy. Drink This! is a great opportunity to check out Heathen's brews because their facility, near the Salmon Creek area, is not open to the public. You can order growlers and kegs online and then make an appointment for will call. Also, on line, you can sign-up to attend Heathen's Grand Opening party on the 22nd. There is an adult party, and a kid friendly one, too. While you're at By the Bottle please support our neighbors and the lovely beverages that they will be offering during the festivities. Most of the participants are located up and down Main Street and you can find all of the participants and their addresses on Facebook, here. Previous blog post of the event and newsletter HERE.